''4 of a Kind'' - SS card throwers(JL-4A) Shuriken, shaken, throwing stars and other ninja throwers. 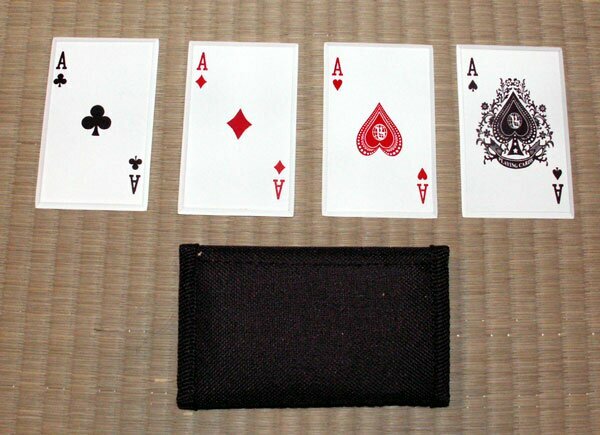 Set of 4 throwing steel cards, actual card size. Stainless steel, includes nylon sheath. Use soft targets.